The Coalition caravan headed south in its bid to revive its extinct Lower House MPs but ended up battling a northern saga that risks extinguishing the career of one of its own. 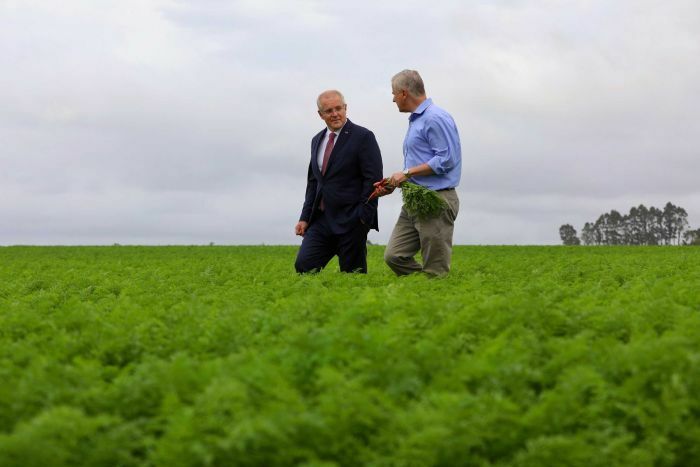 The Prime Minister needs seats if he is to form a majority government and thinks Tasmania is prime for his picking (carrots included). 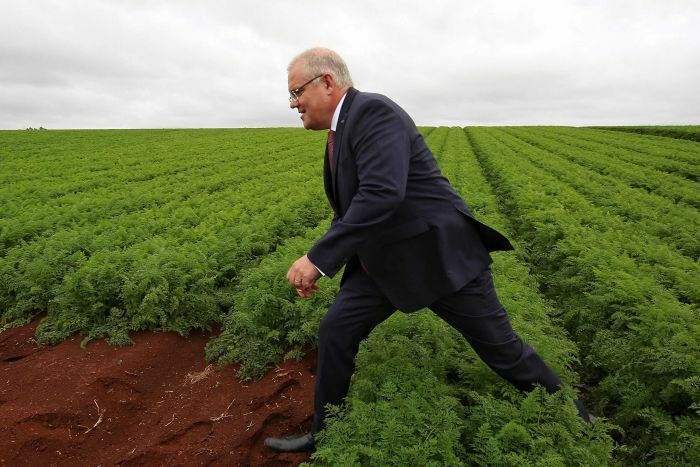 He had arrived on the Apple Isle keen to exploit a Labor blunder on superannuation. But undermining his efforts was an expenses scandal that the Coalition had been battling to put to bed. 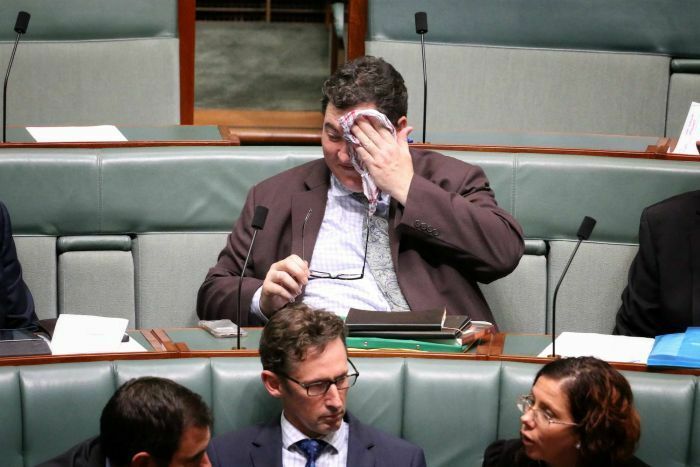 The curious case of George Christensen’s travel to the Philippines has haunted the Coalition all year. What started as rumours and whispers has become front-page news, and earned the conservative Nat the nickname “the Member for Manila”. It’s a lie, a putrid smear, he’s long argued. But it’s now landed him a date with the nation’s independent expenses auditor, in a bid to silence those leaking against him. He self-referred after the revelation he had charged taxpayers more than $3,000 on connecting flights to the Philippines, where his fiancee lives. News Corp has also previously revealed Mr Christensen made 28 trips to the Asian nation within four years, and spent more time in the country than in Canberra during 2016 and 2017. 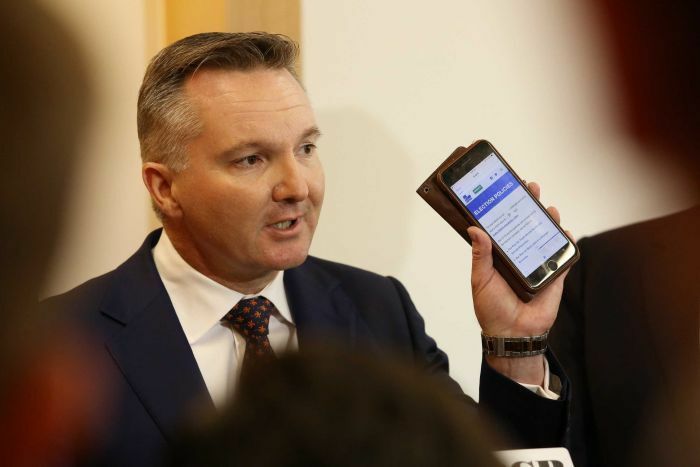 “I don’t have access to his travel details, but based on what I’ve seen and read he has very, very serious questions to answer about his travel,” Shadow Treasurer Chris Bowen said. “It’s not appropriate to use taxpayer-funded travel to connect to a private overseas flight. Earlier this month, the Australian Federal Police confirmed it spent a year making enquiries into Mr Christensen’s travel and cash transfers to the Philippines. 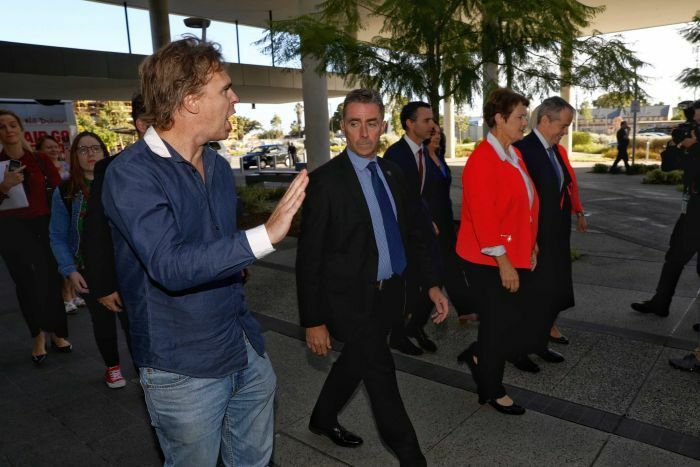 The Prime Minister and the Nationals leader insist he has done the right thing referring himself but were quick to distance themselves from the saga. Deputy Prime Minister Michael McCormack, it seemed, was more interested in growing crowbars than talk about Mr Christensen’s travel. “I’m only sorry I didn’t bring a pocket of nails today, because with this soil I could have easily thrown them in the ground and grown crowbars,” he said. Mr Christensen sits on a tight margin of 3.4 per cent and his seat of Dawson is firmly in Labor’s sights. It’s unclear if the parliamentary expenses audit will complete its assessment of his travel before voters head to the polls. Labor spent the best part of the morning mopping up a Bill Shorten blunder on superannuation. First it was his hearing, then it was a misunderstanding, that party argued, that led Mr Shorten astray when he declared his party wouldn’t be increasing taxes on superannuation. “Can you rule out no new, or increased, taxes on superannuation,” a journalist asked him. “Yeah we have no plans to increase taxes on superannuation,” Mr Shorten replied. “So you’re ruling it out, though?” the journalist responded. But with a new day and Mr Bowen alongside him for the first time in the campaign, Mr Shorten had a new line. The superannuation changes Labor unveiled in 2016 would remain, and bring with them $30 billion over a decade. Increases beyond that were not on the cards, Mr Shorten said. “I thought I was being asked if there were unannounced changes to superannuation, and we’ve already made the announcements of the changes we’re going to make,” he said. In taking the “Bill bus” roadshow to the west, Mr Shorten had hoped to keep the focus on health and turn his hands to sandbagging the ultra-marginal seat of Cowan. Dr Anne Aly holds the seat with a wafer-thin margin, and Labor is sweating on her holding it. The western offensive included a visit to Liberal frontbencher Ken Wyatt’s seat of Hasluck, which he holds with a 2.1 per cent margin. The party’s efforts to retain and gain in the west will face their test when voters have their say in 30 days.